C.1880, Ansonia Clock Co., "Echo" 30-hour time and strike novelty automaton. 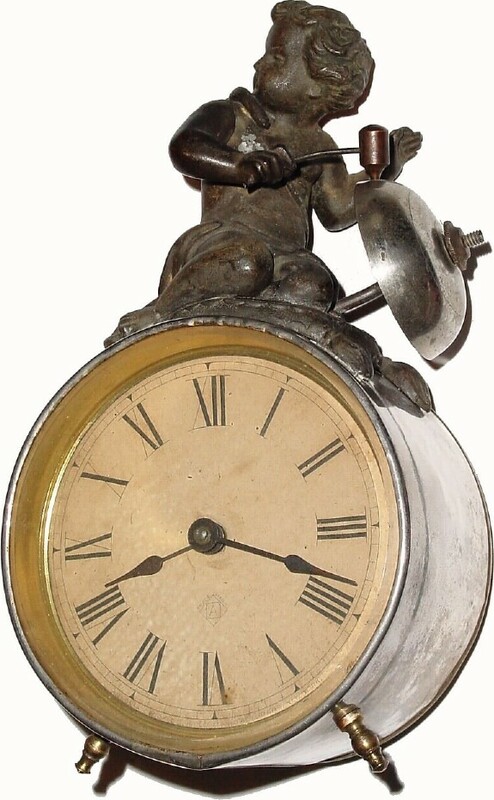 This is a cute little clock with a nickel plated case has a cast figure that strike a bell on the hour with his right arm. There is some roughness on the front edge of the case and a dent on the bottom edge. The nickel plating is in pretty good except for the back, which is worn. Height 73/4"